Every day I log into The Mighty Quest for Epic Loot, I’m stepping over broken glass to reach my own front door. I’m logging in to improve on my dungeon, but before I start, I suffer a report of the night’s losses: how many players raided my home, how many gems were taken from my vaults, how much gold from my coffers, and how badly the reputation of my castle suffered in the process. Usually you’ll have had one or two visitors – but if you leave it a couple of days, you might find your fortress has been raided six or seven times. Enough to necessitate subdivision into current and older attacks. 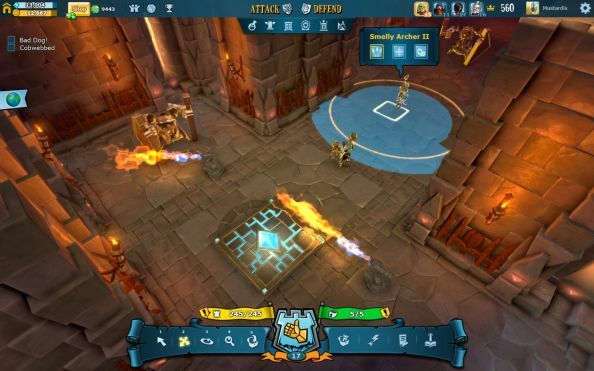 Mighty Quest’s world is always-online, interconnected – but you’ll never bump into a castle’s owner prowling its halls, nor walk in on a raider filling their pockets with your gold. In fact you’ll never see anyone except on CCTV – replay images of an attacker long gone, probably tucked up in bed in another timezone. Surrounded by security measures and minions, you’re profoundly alone. It’s not a feeling I’ve had before in an RPG – but it’s not an especially good one either. What’s the point of having your own castle if it makes you feel like crap? 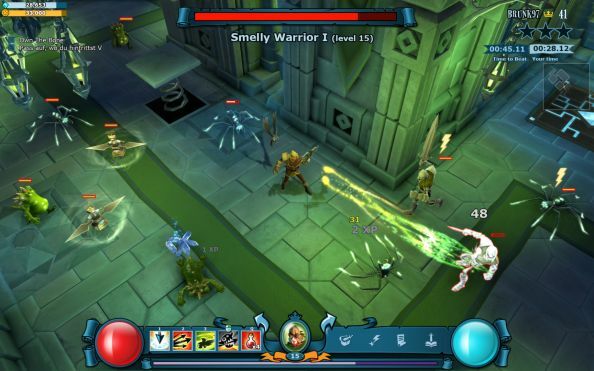 This free-to-play action RPG hit open beta on Steam last month. Before that it cost a few bob for Early Access, which on top of its in-game store seemed a bit much. It’s worth considering now for at least a couple of reasons: firstly, Diablo III: Reaper of Souls costs a small bomb. And secondly, it’s the first RPG ever made by Ubisoft Montreal – the monolithic powerhouse who do Assassin’s Creed, Far Cry, Watch Dogs and most everything. Ubi Montreal’s open world games work because they’re stuffed with minimap distractions; Mighty Quest is one, big distraction. You invade player-built castles and absent-mindedly click on their minions until they all fall over. And then you use your stolen gains to fund a castle of your own, using a Theme Something interface to absent-mindedly drop creatures and traps that’ll (ideally) trip up other invading players and keep them from your own pile of gold. 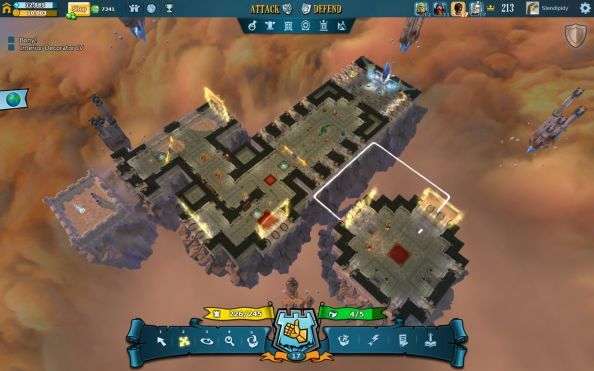 The two halves of the game pull each other along in a functional egg-and-spoon arrangement: you can’t create a gauntlet of baddies capable of slowing thieves without the cash you’ll take from other player’s castles – and nor can you raid ramparts and stockpile gold ad infinitum without taking measures to protect it at home. A reduced XP modifier also helps to ensure that players don’t level up their characters far ahead of their castles. It’s a clever concept. 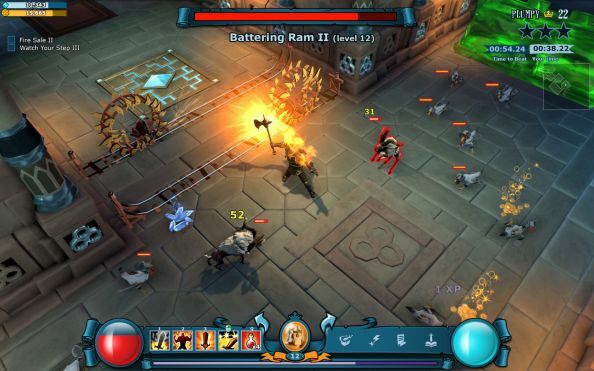 User-built levels are going to mean endless new environments to burn, freeze and maim through. 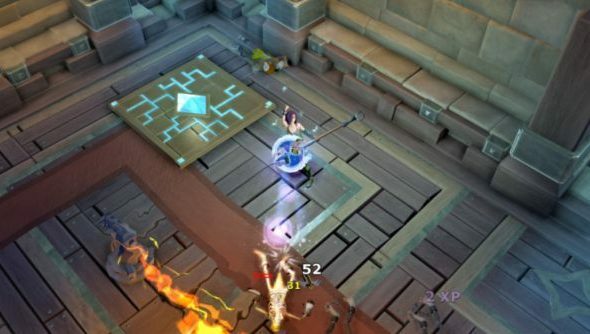 The forts are only going to get more inventive as you level up, and as the community gets its head around the toolset. But there are issues. Low-level castles are invariably built by new players like you, and consequently aren’t going to win any awards for level design. With only a handful of points to assign to defences, amateur planners are rightly tempted to clump their forces in one spot, leaving attacking players to tramp about mostly-empty citadels. Builders can change the layout, trap set-up and monster makeup of their fort, but the fundamental structure of an assault is often the same – a five-minute loop of killing familiar baddies in changing arrangements. That sense fades slightly in time as you scale the ranks and encounter more experienced builders. Happily temporary, too, is the ker-ker-ker-krazy whine of the PR agent Cornelius – the mouth through which Mighty Quest’s tutorial is delivered. Think Saul Goodman without the side order of pathos. He is close to unbearable. But there are other problems that don’t go away. The sense that Ubisoft asked for comedy but were fobbed off with its irritating cousin, zaniness, for instance. And a worry that the principles of action RPG design don’t quite gel with the castle-raiding high concept. Diablo and Torchlight players are used to winning the vast majority of the time, and Mighty Quest isn’t about to tell them otherwise. Consequently, defences of the same level as an intruder are going to fall more often than they’re going to hold – to ensure the player’s having a good, smooth, hack ‘n’ slashing time. You can scale that difficulty up yourself by deliberately targeting higher level castles – at which point Mighty Quest becomes a sweaty-palmed game of cooldown management and health conservation. But other players aren’t going to do that for you. Instead they’ll pummel your castle over and over, and logging in to Uplay will begin to feel like checking your bank account. Eventually, you’ll probably find that Mighty Quest is not worthy of your whole attention. But play it with a podcast on, stick to the Ubi-designed castles early on, and you’ll be happy – not least because you’ll avoid the self-consciously loopy screech of its trad fantasy characters. Rayman this is not.